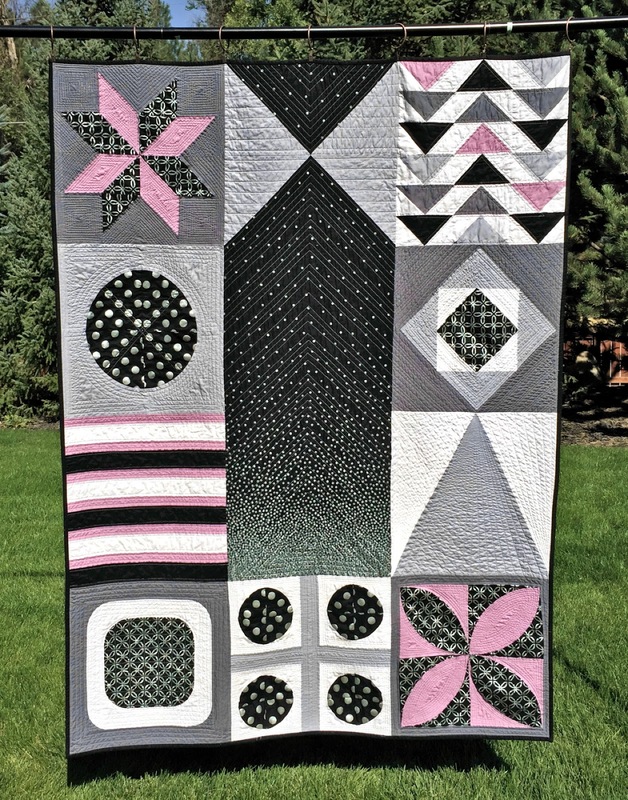 Oh so I almost forgot here's the full picture of my Michael Miller Challenge quilt. As I mentioned before I was not prepared to do this challenge. 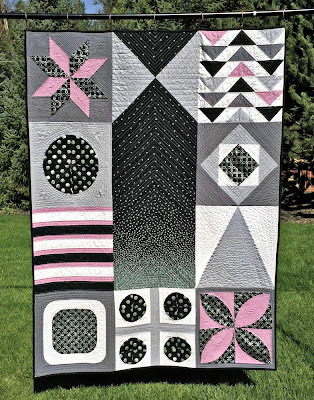 In fact I'd finished up my Riley Blake challenge quilt just days before getting the fabric for this one and had told myself only one challenge a year, oops. After a moment of, oh gosh now what do I make, I hit the Internet and found a book cover from the 1950's that I fell in love with. I started to draw up this quilt with that cover in mind. In the end I'm happy with how it turned out. 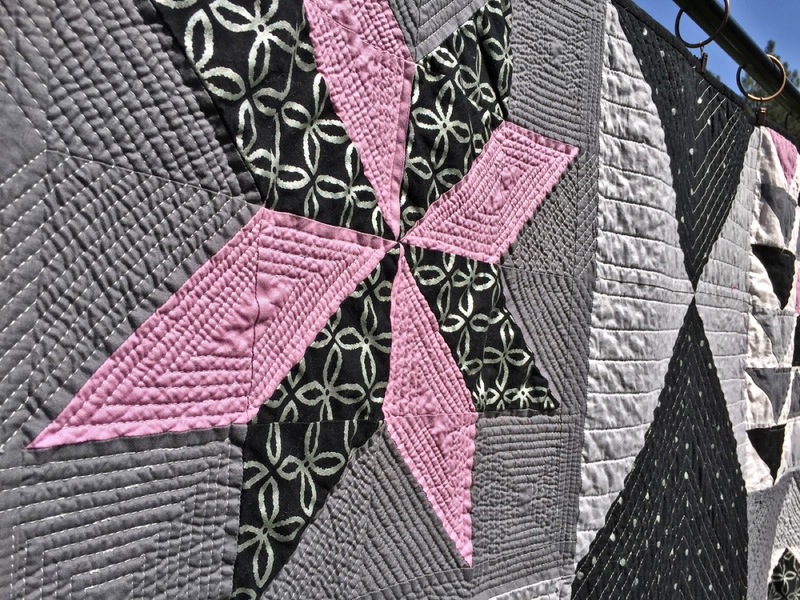 This will be quilt #4 entered to Quiltcon 2016. I honestly think it will be a miracle if any get in to the show. 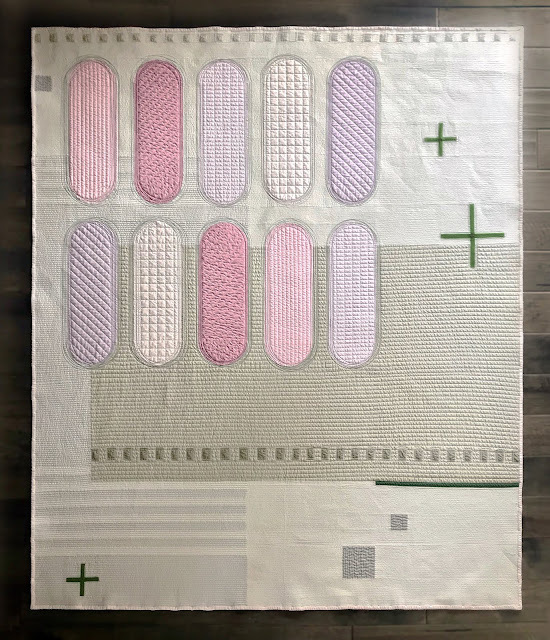 I know I'm not a "modern" quilter under the strict definition of the term so I'm keeping my expectations low. 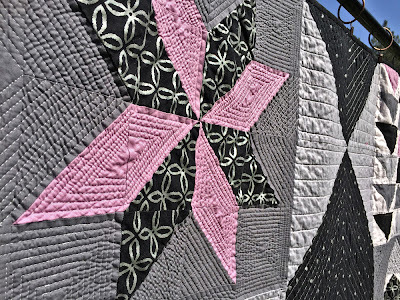 Thank goodness for non-juried local shows like the Interstate Fair and Washington State Quilter show. Here's another close up shot.